If you have any questions or problems,please contact us directly for assistance, rather than submitting a refund request.We aim to solve all problems as quickly as possible! Can you close the dispute first? Payment for Order no. 数字 has been accepted. Currently, your payment is 'Being Verified'. Payments are usually verified within 24 hours. After verification, the supplier will begin to process your order. 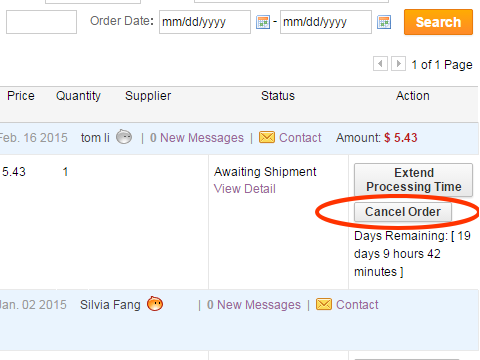 Your order cancellation request is pending the supplier's approval. You have returned your order to the seller – please wait for their confirmation. If the seller does not confirm receipt of your returned order or escalate the claim, your payment will be refunded to you. Seller has extended Purchase Protection for you. could u give me u paypal ? 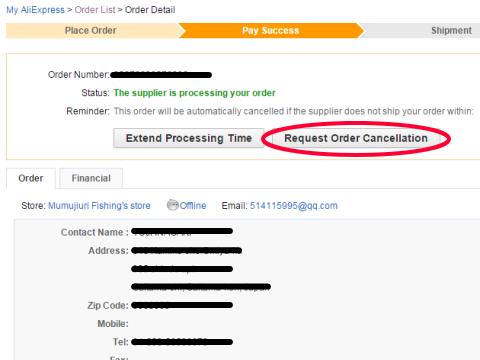 Thanks for your order,but we noticed that have not made the payment yet. This is a friendly reminder to you to complete the payment transaction as soon as possible. Tracking information is temporarily unavailable. Tracking information is temporarily unavailable. Please go to China Post Registered Air Mail to track your ～.